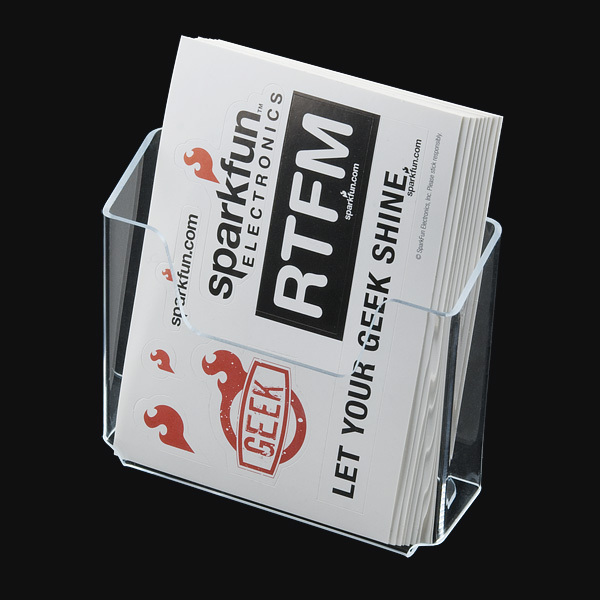 This is a Single pocket half height brochure holder for our SparkFun sticker sheets. It mounts easily and securely using either your own screws and anchors or the supplied sticky pads. 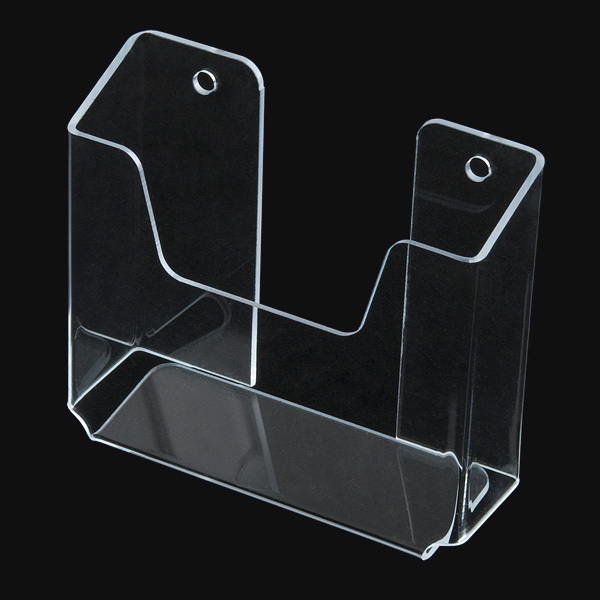 This looks like it would make a nice cellphone holder.